You told yourself you wouldn't be one of those lame people who throws on a mask and shows up at costume parties, but here we are a day before Halloween and you still have nothing. Unless you want to endure endless ridicule, you can't skip dressing up altogether, but if you don't want to buy a pre-made costume your options are pretty limited. As long as you've got a printer, all hope isn't lost. 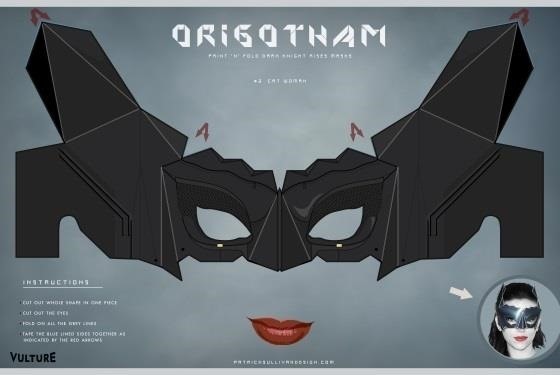 Here are some free, printable masks so your Halloween costume is just a click away. 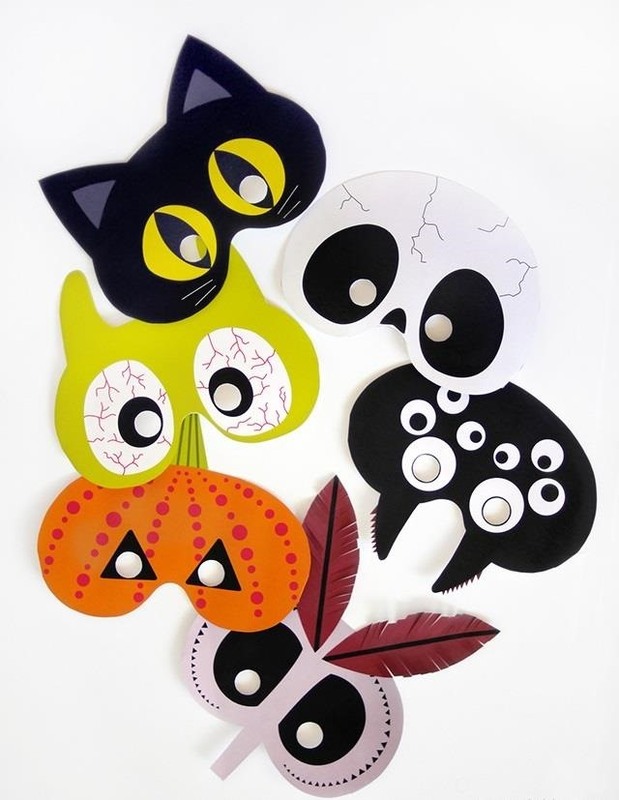 If you want to go the easy route and be one of the tried and true cast of characters, Mr. Printables has a collection of six different creatures including a cat, skull, and spider. Each mask has a downloadable file in both color and black-and-white versions so you can custom color it yourself if you want. Batman and any of his friends or enemies are always safe costumes. Patrick Sullivan designed three print-and-fold masks for Vulture—one for Batman, Bane, and Catwoman. Head over to Vulture for the download files. 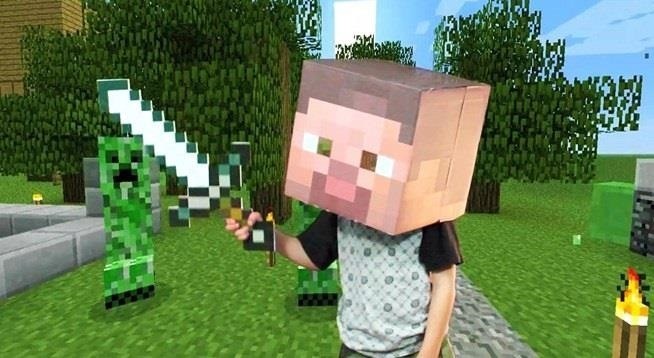 If you've got a printer, cutting utensil, a cardboard box and some glue, making your own Minecraft Steve costume is simple. Really pressed for time? Skip the box and just print out the face to make a 2D version instead. 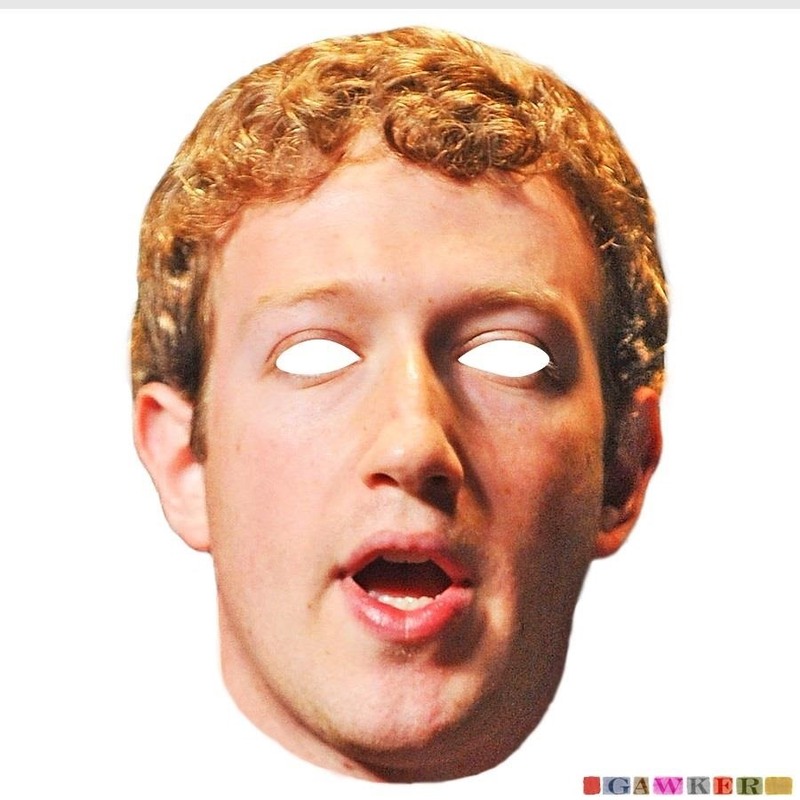 Since his usual attire is just a hoodie and jeans, a Mark Zuckerberg mask makes for one of the easiest costumes ever. The full-size printable file is available over on Gawker. 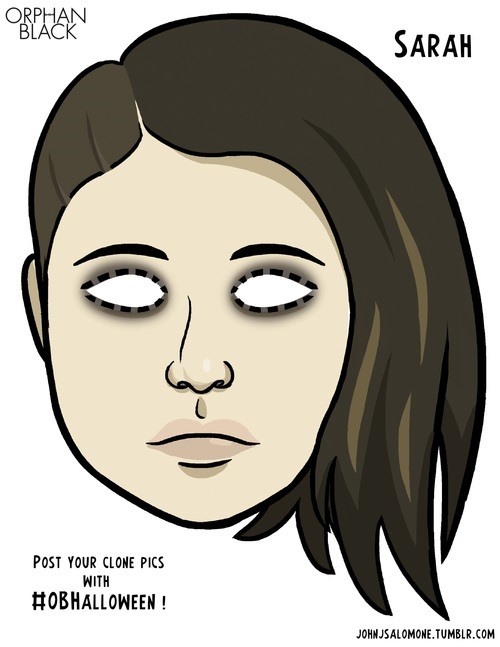 If you're a fan of the new sci-fi series Orphan Black, the show's official Tumblr has a printable mask for each of the seven clones. These would make a great last-minute group costume if your friends watch, too. Not concerned with dressing up as a recognizable character? 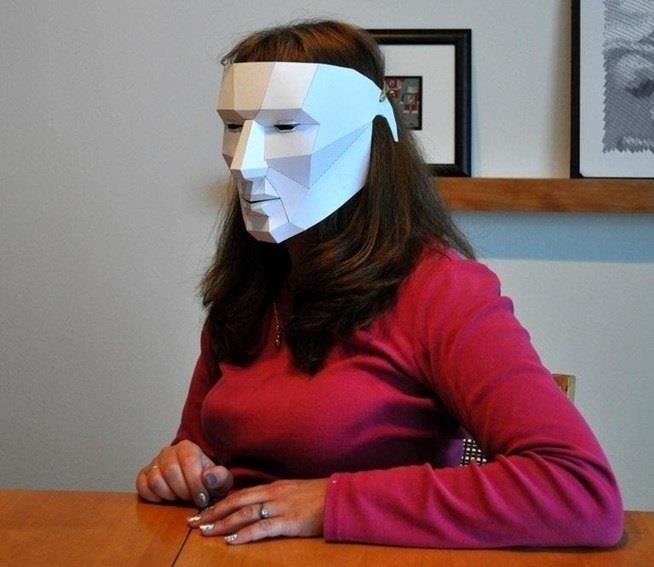 Grab some glue and print out this easy DIY polygon mask. 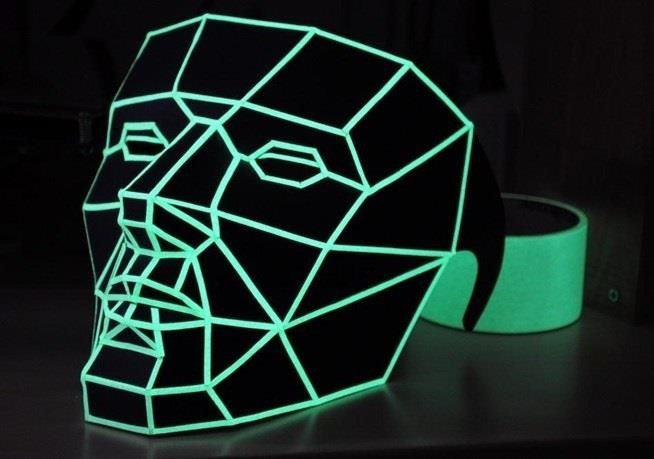 If the plain white version looks too boring, use black paper and add some glow-in-the-dark tape to spruce it up a bit. Want more ideas? Check out our previous guide with over 100 free printable masks of animals, celebrities, political figures, and tons more.